Starting in April, clothing chain Zara will introduce AR in their window displays. The move is said to be a way of attracting millennials who tend to prefer online alternatives such as Amazon to physical stores, according to Reuters. So how will this AR installation work exactly? 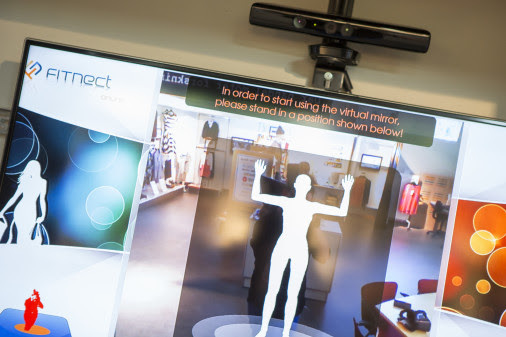 Well, when holding a mobile phone to a sensor in the window (or inside the store), customers will be able to see models wearing different looks, and also click to buy what they want. The AR displays will be introduced in 120 Zara stores all over the world, from April 18. Shopping in the physical world is definitely going more and more digital. Rebecca Minkoff installed smart mirrors in the changing rooms of her flagship store a good while ago to make try-ons easier, and by fall 2015 Zara had done something similar by providing ipads in theirs. Now The Swedish School of Textiles in Borås has added the masters course Management of digital trade to their curriculum. The course is intended for students with a bachelor in business administration and the idea is to create an understanding not only for online trade but also how trade in physical stores is starting to change with these digital in store-solutions.